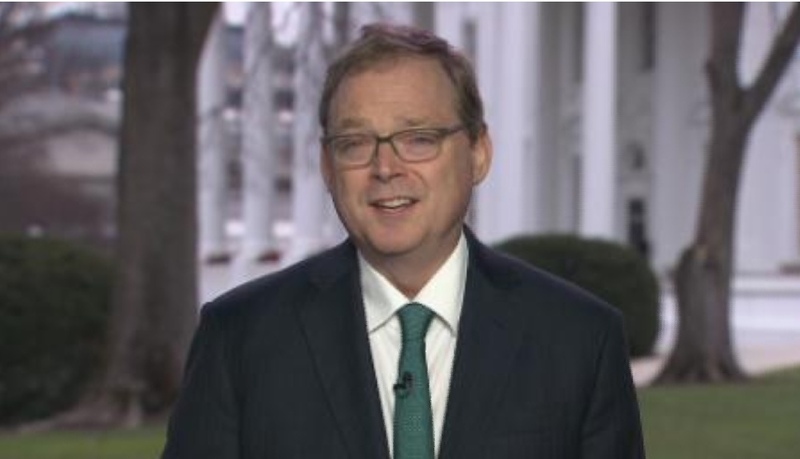 White House Council of Economic Advisers Chairman Kevin Hassett said in an interview with CNN’s Poppy Harlow that he was not overly worried about the long-term effects of a government shutdown. But after Harlow asked him if the US could wind up with zero GDP growth this quarter, he conceded that it was possible. “We could, yes,” he said. Hassett said he and his staff members were not being paid during the shutdown, and he noted that some government workers are having to take on other work to compensate for the loss in wages. He said one of his staffers was now driving for Uber. But Hassett argued that the economy would bounce back when the government reopens — and that would mean that any hit to GDP would eventually be recovered. He added that he thought chances of the US entering a recession in 2020 are “close to zero,” even though many economists are predicting a downturn by next year. Hassett pointed to continued strong jobs gains as a healthy sign for the economy.